Dezeen Wire: here's the first image of a new 190-metre skyscraper for the City of London designed by Kohn Pedersen Fox to house the European headquarters for insurance company W. R. Berkley Corporation. The office tower will have 35 storeys plus two basement levels and two roof plant levels, and the proposal includes a new a new public square. Subject to planning, construction is expected to start next year. Kohn Pedersen Fox are also the architects behind the Heron Tower, which was the tallest in the Square Mile until overtaken by the completion of The Shard earlier this year, and The Pinnacle (formerly known as the Bishopsgate Tower), under construction but stalled since March due to lack of letting commitments. Other skyscrapers under construction in the area include the Leadenhall Building by Rogers Stirk Harbour + Partners, 20 Fenchurch Street (nicknamed the Walkie-Talkie) by Rafael Viñoly, and 100 Bishopsgate by Allies and Morrison with Woods Bagot. W.R. Berkley Corporation, one of the world’s premier property casualty insurance providers, has submitted a planning application for a major new European headquarters at 52-54 Lime Street, London EC3, in the heart of the City of London. Demonstrating the strength of W.R. Berkley Corporation’s commitment to London as one of the world’s leading insurance centres, the company, whose member insurance companies are rated A+ by Standard & Poor’s, will be funding the 35-storey building, which will draw together all of the company’s London presence into one place, from its own balance sheet. W. R. Berkley Corporation London companies will initially be occupying approximately 25% of the building. Other occupiers have already expressed interest in the building. Designed by multi-award winning international architects, Kohn Pedersen Fox (KPF), who also designed the Heron Tower, the planned building is approximately 190m tall, consisting of 35 floors of offices above ground and mezzanine levels with an additional two basement and two roof plant levels. Entrances to the building would be on Leadenhall Street and from a new public square. Floor plates will range in size from 9,000 sq ft to 22,000 sq ft and are arranged around a side core located to the south of the building, which optimises floor plate dimensions, limits solar gain and offers views of London to the, north, east, west and south west. Public space created by the development will include a ‘square’ of approximately 11,000 sq ft which will complement the existing precinct around the Willis Building. The space will include public seating and planting as well as potential space for public art and tables linked to a specialist ground floor coffee shop, echoing the 17th century origins of the specialist insurance markets at Lloyds Coffee House. 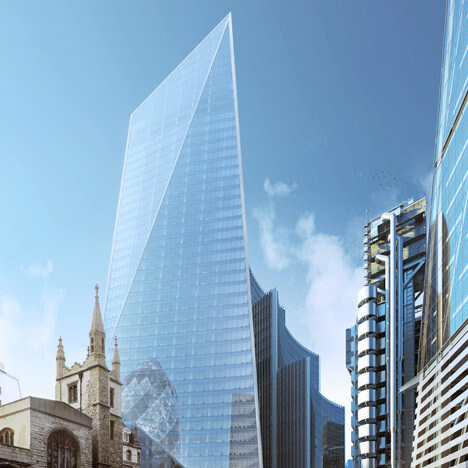 With Lloyd’s of London and Willis adjacent to the new public square and Aon to occupy 122 Leadenhall Street, W.R. Berkley’s new European headquarters will effectively create a global ‘HQ’ of the insurance industry in London. KPF’s work is being led by Bill Pedersen, one of the world’s most decorated architects and seven time winner of the American Institute of Architects National Honour Award. Subject to planning, work on the project is scheduled to start by 2013 and it is anticipated that the development could be ready for occupation by 2017. “The proposed development of 52-54 Lime Street is an integral component of our international growth strategy. With the continuing expansion of our operations here, it makes sense to invest in a landmark building which will provide a strong base for that growth. The City of London is the home of the specialist insurance sector, with gross premiums on the London market conservatively estimated at £36.9bn in 2010, and Lime Street is the heart of the sector – from historic players like Lloyds, to world leading brands like Willis, Aon, and Aviva.